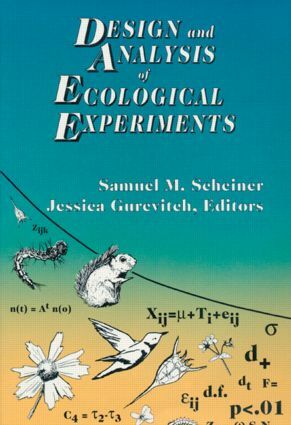 The goal of this book is to make some underutilized but potentially very useful methods in experimental design and analysis available to ecologists, and to encourage better use of standard statistical techniques. Ecology has become more and more an experimental science in both basic and applied work,but experiments in the field and in the laboratory often present formidable statistical difficulties. Organized around providing solutions to ecological problems, this book offers ways to improve the statistical aspects of conducting manipulative ecological experiments, from setting them up to interpreting and reporting the results. An abundance of tools, including advanced approaches, are made available to ecologists in step-by-step examples, with computer code provided for common statistical packages. This is an essential how-to guide for the working ecologist and for graduate students preparing for research and teaching careers in the field of ecology. "…a valuable guide to some modern statistical methods."